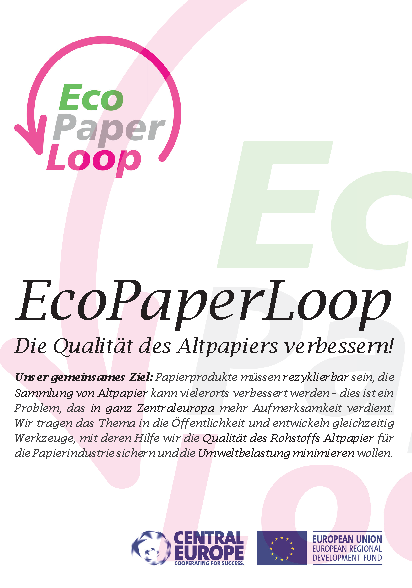 In the course of the EcoPaperLoop Project, a new method to evaluate the removability of adhesives from packaging has been developed. A sample of a packaging product is cut into pieces, pulped, screened to evaluate unrecyclable material and the remaining pulp checked for the adhesives. The residues are washed, dried, weighed and calculated as portion of the total packaging product. ... dyed and evaluated via optical image analysis. The whole process is also shown in a video here!